Stone Bridge Press, 9781611720211, 264pp. At thirty, Californian Leza Lowitz is single and traveling the world, which suits her just fine. Coming of age in Berkeley, California, during the sexual and feminist revolutions of the 1970s, she learned that marriage and family could wait. When Leza moves to Japan and meets the man of her dreams, her heart opens in ways she never thought possible. But she's still an outsider, and home is far away. Rather than struggle to fit in, she opens a yoga studio and makes a home for others. Then, at forty-four, Leza and her Japanese husband seek to adopt--in a country where bloodlines are paramount and family ties are almost feudal in their cultural importance. She travels to India to work on herself and back to California to deal with her past. Something is still not complete until she learns that when you give a little love to a child, you get the whole world in return. 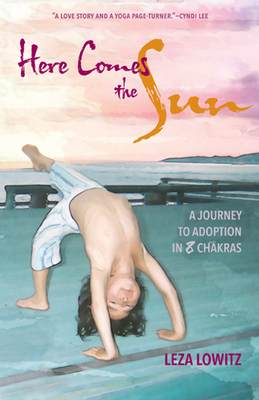 This inspiring memoir reflects the author's deep connection to yoga that allows her to realize that infertile does not mean inconceivable. Through teaching, meditation, and community, she transcends her struggles and embraces the joys of adoption and motherhood. Leza Lowitz lives in Tokyo with her husband, the writer Shogo Oketani, and their ten-year-old son. She has edited and published over seventeen books, many on Japan, and has run her own yoga studio in Tokyo for a decade. She travels throughout Japan and Asia to teach yoga and write. Her debut YA novel, Jet Black and the Ninja Wind, won the 2013-2014 Asian/Pacific American Award in Young Adult Literature. Leza Lowitz is an accidental global citizen--bicultural mother, modern yogini, and multi-genre author of over seventeen books. She has received the APALA Award in Young Adult Literature, the U.S.-Japan Friendship Commission Award, the PEN Oakland Josephine Miles Award for Poetry, a Translation Fellowship from the National Endowment for the Arts, a California Arts Council Individual Fellowship in Poetry, a National Endowment for the Humanities Independent Scholar Fellowship, and the PEN Syndicated Fiction Award. Her books Yoga Poems: Lines to Unfold By and Jet Black & The Ninja Wind are amazon best-sellers. Her work has also appeared in The New York Times, Yoga Journal, Yoga International, Shambhala Sun, The Best Buddhist Writing, The Huffington Post, and The Japan Times. Up from the Sea, her Young Adult novel in verse about Japan's March 11, 2011 earthquake and tsunami, will be published by Crown Books for Young Readers in 2016.